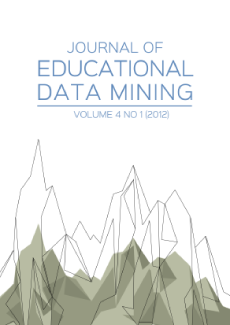 In this paper we describe the development and refinement of evidence rules andmeasurement models within the evidence model of the evidence-centered design (ECD)framework in the context of the Packet Tracer digital learning environment of the CiscoNetworking Academy. Using Packet Tracer learners design, configure, and troubleshootcomputer networks within an interactive interface. This leads to product data, whichresult from the students final submitted network configurations, and process data, whichare log file entries detailing how they got to the final configurations. We discuss how aniterative cycle of empirical analyses and discussions with subject-matter experts isessential for identifying and accumulating evidence about skill profiles of learners andtheir development. We present results from descriptive, exploratory, and confirmatorydiagnostic modeling analyses for both data types, which required bringing to bear adiversity of tools from multivariate statistics, modern psychometrics, and educationaldata mining. We close the paper with a discussion of the implications of this work forevidence-based argumentation guided by ECD principles within digital learningenvironments more generally.